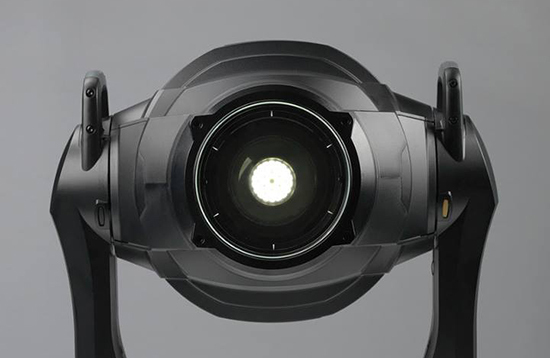 Full-featured, whisper-silent LED moving head extends MAC Encore line with wash light quality and performance levels never seen before in LED-based stage lighting units. 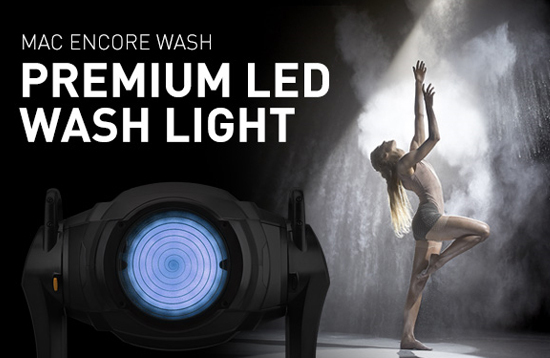 LDI (Booth #242), LAS VEGAS—HARMAN Professional Solutions announces the launch of Martin MAC Encore™ Wash, a full-featured, LED moving head designed to produce premium white wash lighting in a wide variety of applications where critical lighting is required. Martin by HARMAN recently announced the launch of the Martin MAC Encore™ Performance, the full-featured, LED moving head that delivers levels of light quality and consistent operation never seen before in a LED-based stage lighting unit. Designed to produce premium white light in a wide variety of applications where critical lighting is required, MAC Encore Performance is available in two dedicated colour temperature variants: WRM for unparalleled, 3000 K warm incandescent emulation and CLD for crisp, 6000 K neutral daylight. Since Luminex’s soft launch of the super-flexible GigaCore 10 Gigabit switch – at Prolight+Sound in Frankfurt earlier 2017 – it has fast established itself as the manufacturer’s most versatile plug-and-play Gigabit Ethernet Switch to date. 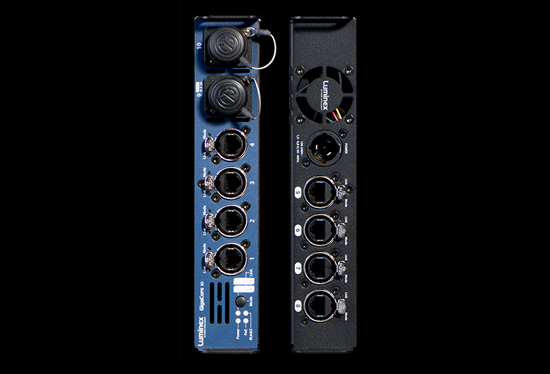 The GigaCore 10 is specifically designed to address the rigours of the live events and touring industry where effortless setup, flexible use options, compact size and rugged reliability are key. ELECTROSONIC’S VIEW TO THE FUTURE, CELEBRATING 25 YEARS! 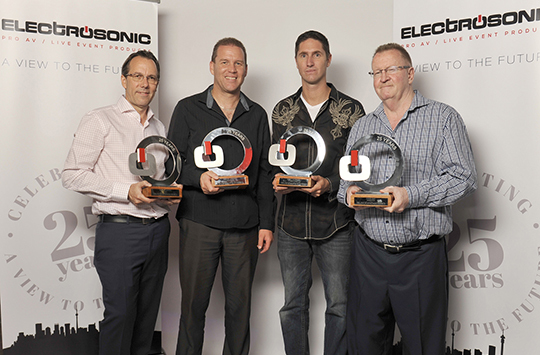 The excitement was tangible at Electrosonic SA’s offices last week, as staff anticipated Electrosonic SA’s 25th anniversary celebration planned for 29 October 2016. Recent unrests at Wits University caused concern for some, as the designated venue was slap-dash in central Braamfontein. But nothing could damper the high spirits of the guests as the event kicked off with a fun Tuk-Tuk ride through the buzzy Braamfontein streets to the venue, Thirteen.